Let's call this Simple Wednesday! I didn't use any dies here at all. 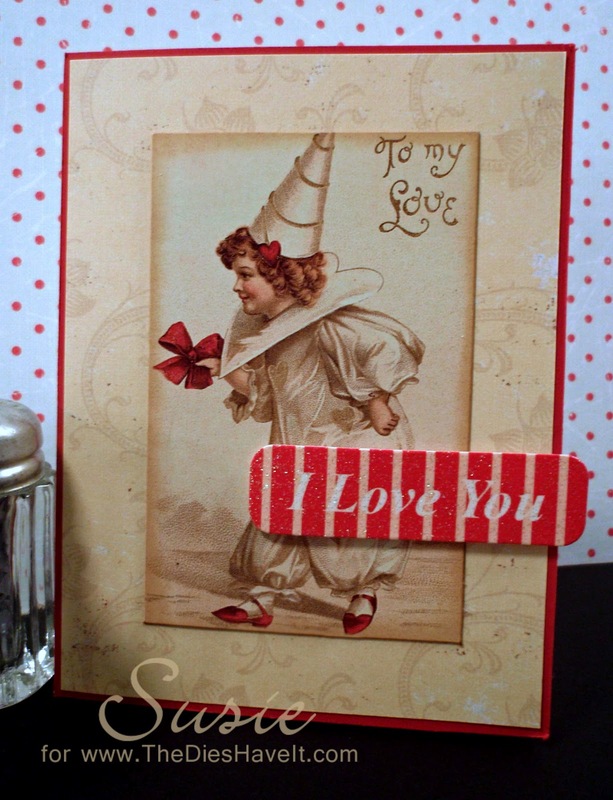 I had this cute little postcard and this precious I LOVE YOU dimensional sticker and what else can I say? I was going to mat the postcard, but it looked so much better with just a bit of Distress Ink around the edge. Sometimes you just can't argue with simple. It becomes elegant and then it is just DONE! Love that. 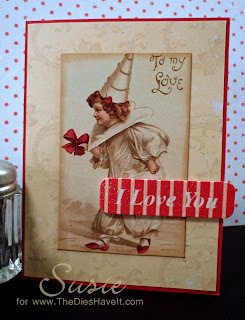 Now tomorrow I'll be showing you the first sneak peek for the upcoming Inspired by Stamping release. I can't wait to share!